Nova Scotia Power provides 95 per cent of the generation, transmission and distribution of electricity in Nova Scotia, and serves 500,000 residential, commercial and industrial customers across the province. Their 1,700 dedicated, safety-focused employees help manage $4.1billion worth of generation, transmission and distribution assets and produce more than 10,000 gigawatt hours of electricity each year. They use a fuel mix including hydro, tidal, wind, coal, oil, biomass and natural gas to generate electricity. 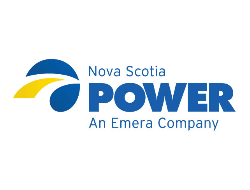 Their facilities can generate as much as 2,453 megawatts of electricity that is delivered across 32,000 km of transmission and distribution lines throughout Nova Scotia.